You are annoying…Stop it now! 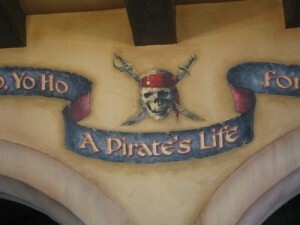 There are a few things that bother me at Disney World. Most of them have to do with other guests that and are out of Disney’s direct control. On my most recent trip I ran into a few people who drove me crazy! I am writing this post knowing that it is unlikely any of the offending folks will read this, but hoping to help someone avoid being an irritating guest! Let me begin with the obnoxious lady in front of me on Kilimanjaro Safari. Every time the driver would say ” if you look to the right you will see the Okapi,” or “Look into the water and you will see the hippo,” This lady would immediately announce “I can’t see it!” She would say this immediately following the drivers announcement of the animal. She never searched, never turned in the correct direction, just stated she couldn’t see the animal. Well lady, try looking! Perhaps you did not notice the other twenty people on board turn their heads and bodies to search out the animal! You are on a safari with real animals. If you want to sit in one place and place no effort in searching out animals, head over to the Magic Kingdom and board The Jungle Cruise. It is probably better suited to an idiot like you! Here is my tip, when you are on the safari you actually have to use your eyes to search out the creatures. Sure some of them are big and obvious, but others are more difficult to see! Also, if you cannot see the animal it is not necessary to announce this to everyone else on the ride. Secondly, stop ruining the rides with your flash photography and spoilers. If you are aware of a surprise on a ride or a special effect or even if you know the entire script please, please, please keep it to yourself! I cannot tell you how annoying you are guy on Pirates of the Caribbean who narrated the entire ride while taking flash photos and blinding me. If I could have told you nicely to shut your mouth I would have, but I feared it would not have come out that nicely. Please let everyone enjoy the attraction. We all paid good money to have Disney entertain us, not have Joe Schmo recite that its a pirates life for him in a cheesy accent. Lame. Lastly, I do not want to wait ten minutes while you set up the perfect photograph of your family. I am happy to pause briefly while you capture the magic on film, but if you can’t say cheese, point, and shoot, you need to assume I am going to walk into your photo with no remorse. There are thousands of people in the park and we cannot all pause while you set up your picture. You get 30 seconds max. Got it? Ok, my vent is over! Who else has been irritated by other guests in the parks? This entry was posted in My thoughts, Uncategorized and tagged crowds, kilimanjaro safari, photography, pirates of the caribbean. Bookmark the permalink.